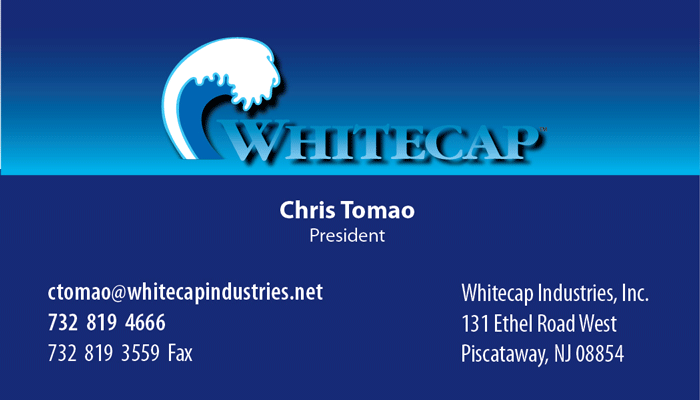 Whitecap Industries, a leading supplier of marine parts, came to Hank Schmidt for his expertise in branding and packaging of marine products. Hank has provided the marine industry with graphic design solutions for over 25 years. 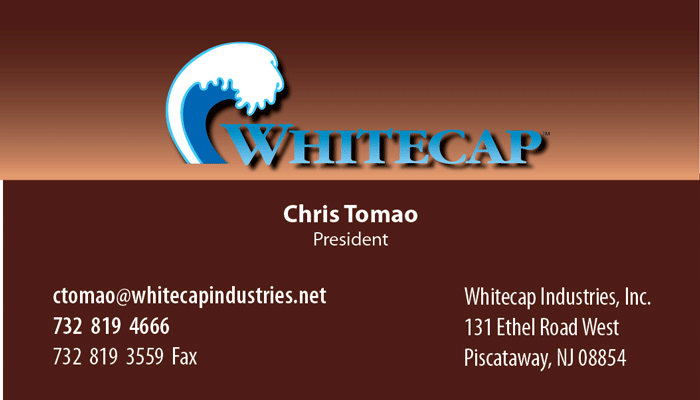 The first step in rebranding Whitecap was to design a "close-in", updated version of their logo. The basic wave shape was updated and a new logotype was developed. 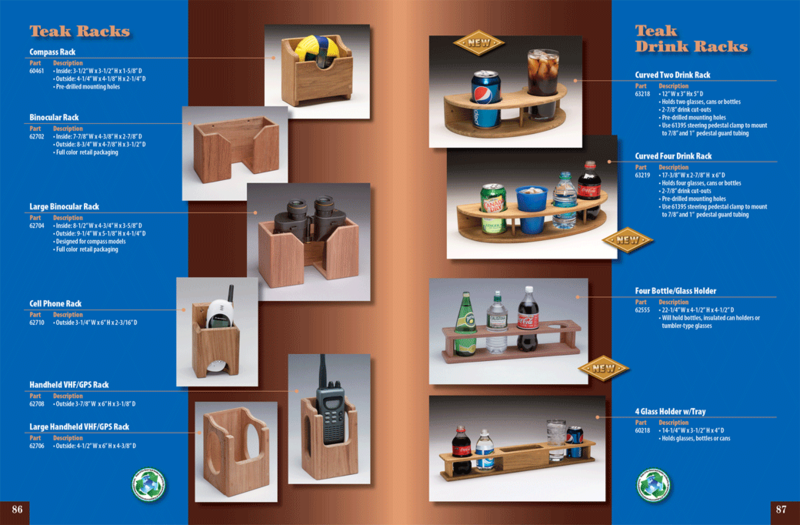 A color code system was developed for Whitecap's two product lines, blue for hardware line and brown for the new teak line. 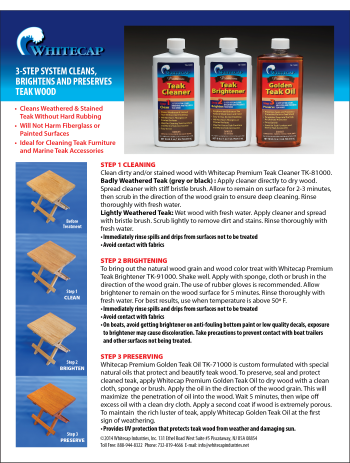 The next step was to redesign the entire full line printed catalog and add the new teak product line. 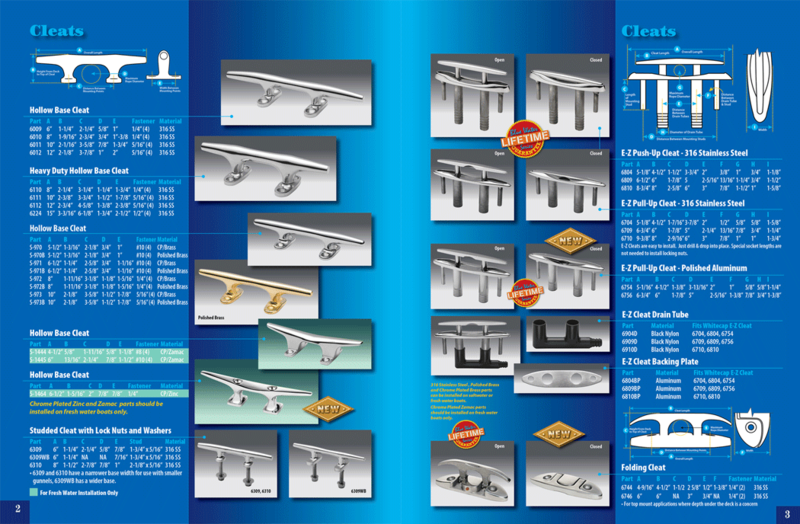 The entire catalog was overhauled and a new system of product grouping was developed along with improved specification information charts. HankInk provided new product photography for the new hardware and teak products, which included CMYK images for print and high res RGB images for use in today's e-commerce websites. HankInk also handled all the image processing, retouching and photo file cataloging. Artwork files for the 96 page plus covers catalog were prepared to the printer's specifications and delivered to the printer. In addition to providing design services, Hank provided print brokering services to Whitecap and handled all the print cost estimating, print purchasing, quality control of proofs and printed material. 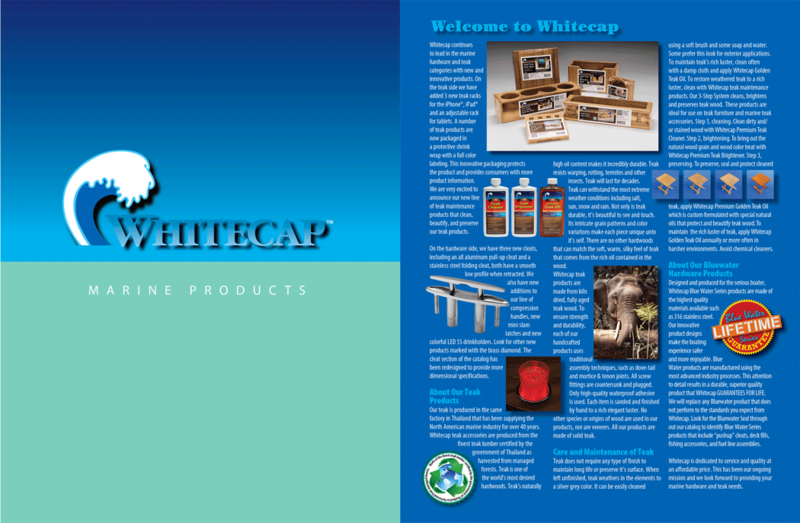 The new branding program was applied to Whitecap hardware and teak packaging, which includes header cards, blister cards, clamshells, full color labels on corrugated cartons, bottles and shrink wrapped packaging with adhesive labels. 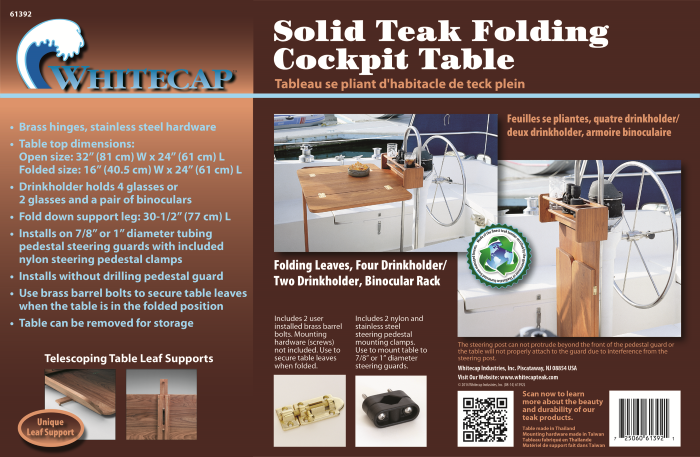 Where ever space permits, a QR code is added to the teak packaging to direct customers to the teak products website: www.whitecapteak.com. 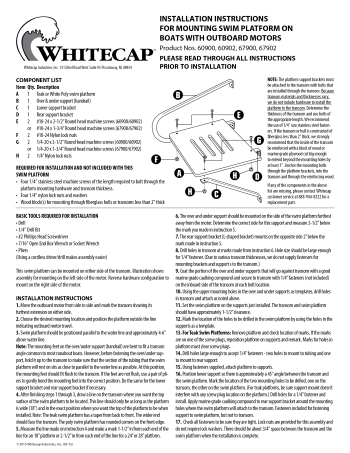 In addition to the packaging, HankInk designed and provided copy for product instruction sheets and care and maintenance guides.